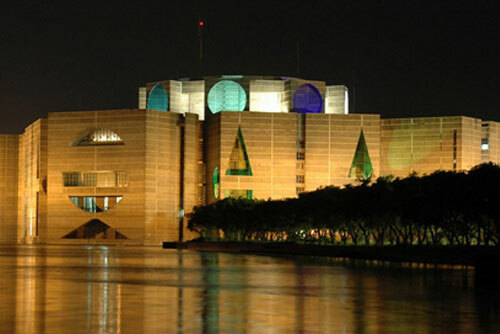 Jatiya Sangsad Bhaban (Parliament House) at Sher-e-BenglaNagar,Dhaka, designed by the famous architect Louis Kahn, has distinctive architectural features, and is an architectural wonder of South Asia. 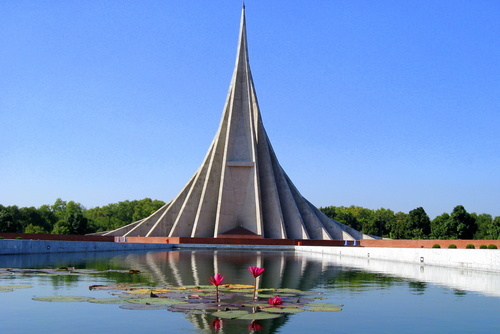 National Memorial, located at Savar, 35 km from Dhaka city, and designed by architect MoinulHossain, was built in the sacred memory of the millions of martyrs of the 1971 War of Independence.ShaheedMinar near Dhaka Medical is another memorial built in honour of the martyrs of 1952 language movement in Dhaka. 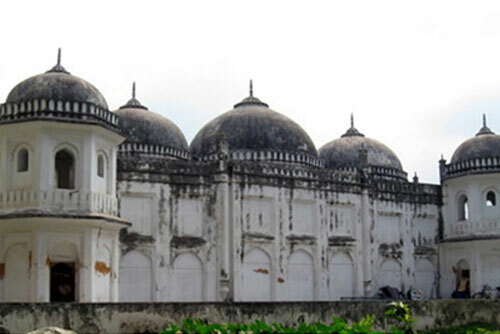 Seven domed Mosque (17th century), Rose Garden (Rajbari), Atia Mosque (Mugalarchitectue), Star Mosque (18th century) and Baitul Mukarram National Mosque. 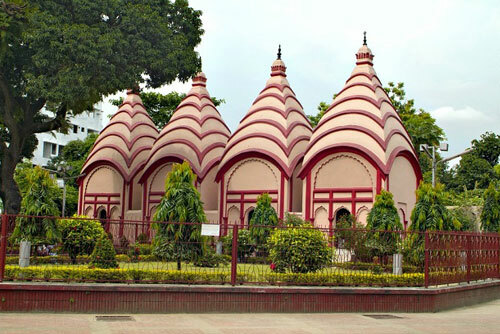 Dhakashwari Temple (11th Century), Ram krishna Mission. 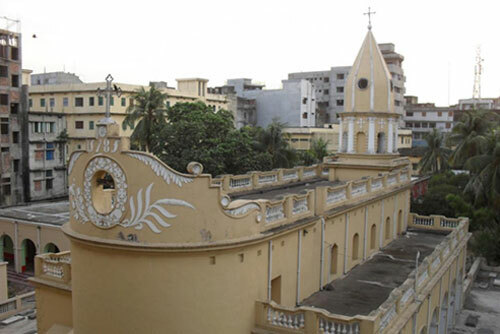 Armenian Church (built by Armenian community in 1781), St. Mary’s Cathedral at Ramna, and St Thomas Cathedral Church (1677) at Tejgaon. Lalbagh Fort (also Fort Aurangabad) an incomplete 17th century Mughal fort complex is a major attraction. 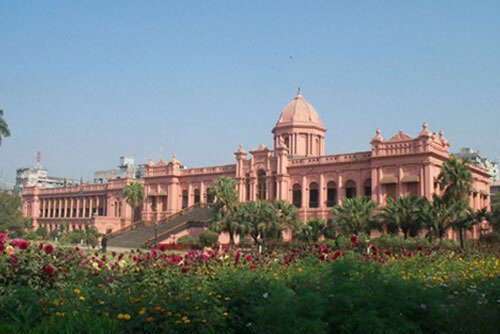 The construction was started in 1678 AD by Mughal Governor Muhammad Azam Shah.Other tourist attractions are Bahahudar Shah Park (1857 Memorial), AhsanManzil (the home of the Nawab of Dhaka), Curzon Hall, Old High Court Building, Dhaka Zoo, National Museum, Science Museum, Botanical Garden, National Park, Central ShahidMinar, Kamalapur Buddhist Monastry, Mausoleum of National Leaders and Baldha Garden,. 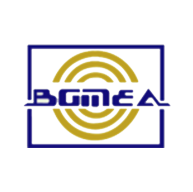 It is one of the earliest urban archaeological sites so far discovered in Bangladesh on the western bank of river Karatoa. 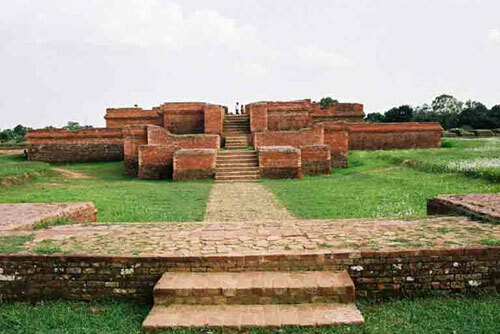 The village Mahasthan in Shib ganjthana of Bogra district, located at 18 km north of Bogra town, contains the remains of an ancient city which was called Pundranagara or Paundravardhanapura in the territory of Pundravardhana. A limestone slab bearing six lines in Prakrit in Brahmi script, discovered in 1931, dates Mahasthangarh to at least the 3rd century BC.The fortified area was in use till the 18th century AD. 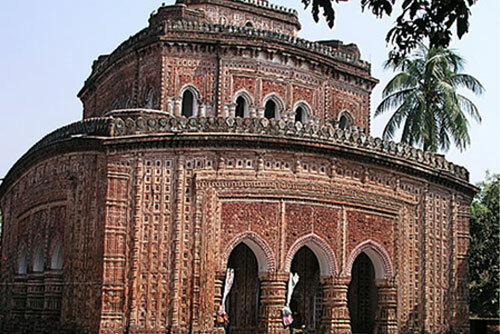 Also noteworthy are the shrine of Shah Sultan BulkiMahisawary and Gokul Moth in the neighbourhood of Mahasthangarh. 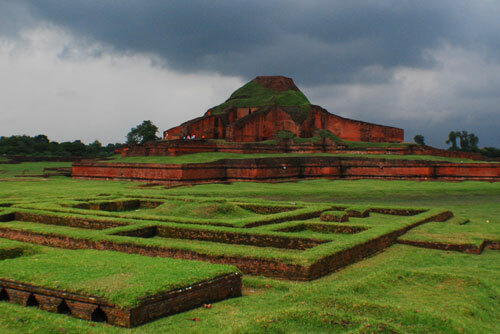 Somapura Mahavihara in Paharpur, Naogaon District, Bangladesh is among the best known Buddhist viharas in South Asia and is one of the most important archeological sites in the country. 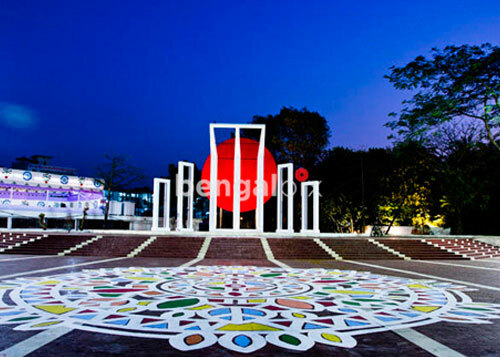 It was designated a UNESCO World Heritage Site in 1985. 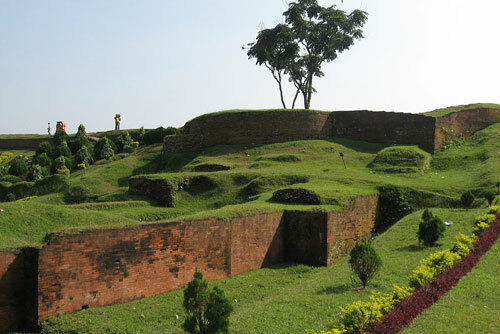 Mainamati-Lalmai ridge, an extensive centre of Buddhist culture and civilization, lies about 8 km to the west of Comilla town which is situated 114 km south east of Dhaka. 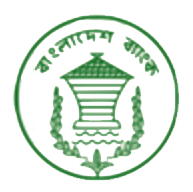 It holds a treasure of information about the rule of the Chandra and Deva dynasties from 7th to 12th century A.D.
Wari-Bateshwar is an ancient fort city dating back to 450 BC situated in the north-eastern part of Bangladesh. 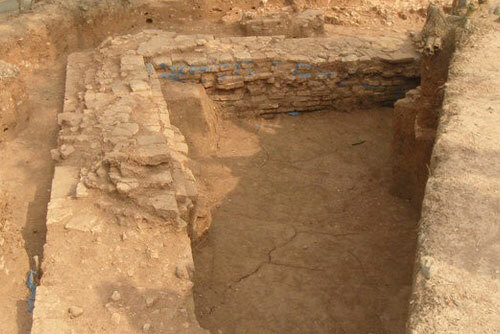 This 2500 years old site is a significant archaeological discovery that challenges the earlier notions about the existence of early urban civilisation in Bangladesh. 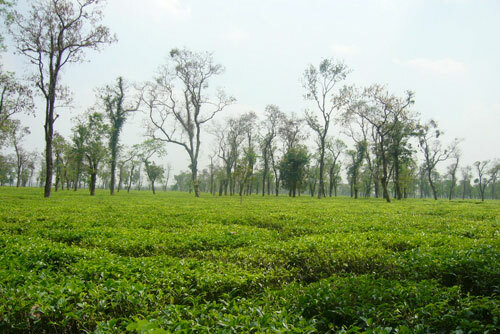 This spot is about 75 km from Dhaka situated near the Wari and Bateshwar villages in the BelaboUpazila of Narsingdi District. 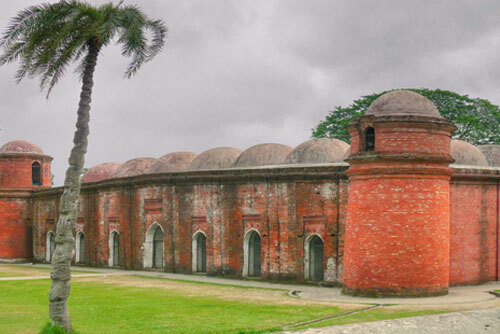 is a 15th century mosque built in Bagherhat by a saint-General, named Ulugh Khan Jahan during the reign of Sultan Nasiruddin Mahmud Shah. It has been described as one of the most impressive Islamic architecture in the whole of the South Asia. The construction of the mosque was started in 1442 and it was completed in 1459. 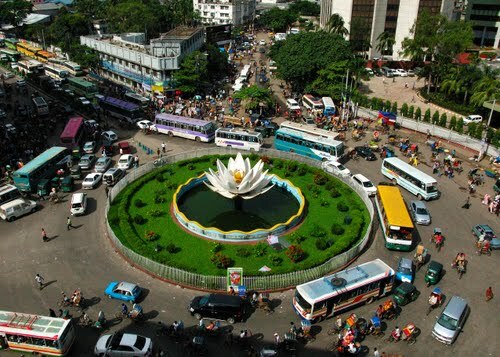 Cox’s Bazar, one of the most attractive tourist spots in the world, is located on the South-East of Bangladesh in the district of Chittagong at a distance of 400 km from the capital Dhaka and is connected both by air and road. 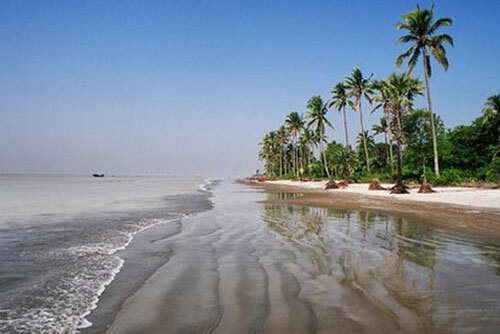 It has the world’s longest unbroken (120 km) beach sloping gently down to the blue waters of the Bay of Bengal. 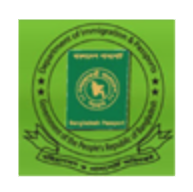 Visits to the nearby fascinating spots at Himchari, Teknaf, Inani beach, Buddist temple at Ramu and islands of Sonadia, St. Martin (a coral island) and Moheskhali are memorable experience of a life time. It is a panaromic sea beach on the southern tip of Bangladesh located in Patuakhali district. 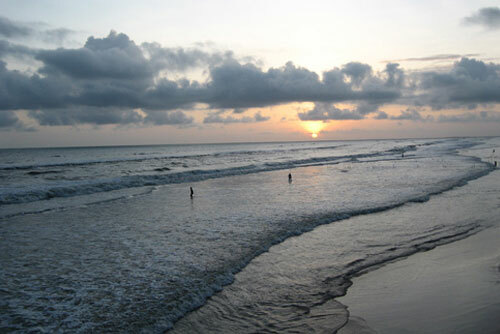 Kuakata has a wide sandy beach of 30 km long and 6 km wide from where one can see both the sunrise and sunset. 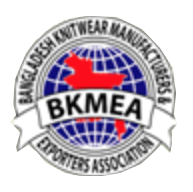 It is about 320 km from Dhaka, and about 70 km from the district headquarters. 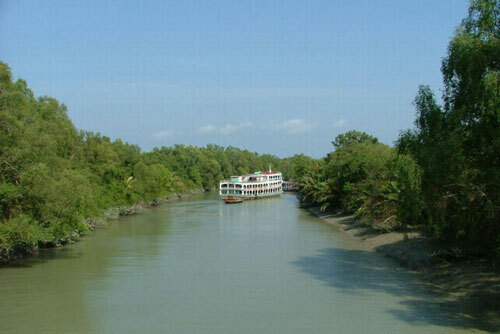 The Sundarbans, located about 320 km south-west of Dhaka, are the largest littoral mangrove belt in the world, stretching 80 km (50 mile) into the Bangladeshi and Indian hinterland from the coast. The Sundarbans, the home of Royal Bengal Tiger, has been declared a UNESCO World Heritage Site. Chittagong Hill Tracts Districts:The Chittagong Hill Tracts Districts, divided into three districts, namely Rangamati, Khagrachari and Bandarban, with its perennial forest, emerald blue water of Kaptai lake, colourful tribal life and culture, attractive handicrafts and artisans stand as a unique tourist attraction. 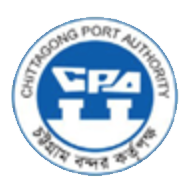 With a picturesque hinterland of large hill forests and lakes, Chittagong, the second largest city of Bangladesh with the main sea port is a popular vacation spot. 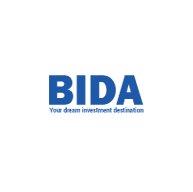 The places of interest include: Shrine of ByazidBostami, World War II Cemetery, Foy’s Lake, Ethnological Museum, Court Building, Patenga beach and Sitakund. 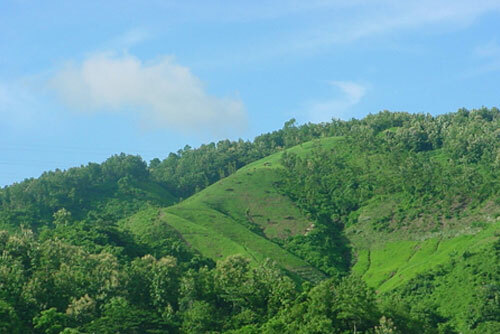 Next to the Hill Tracts, Sylhet is the widely hilly district in the country with its picturesque Surma valley as well as Srimangal, the tea capital of Bangladesh. 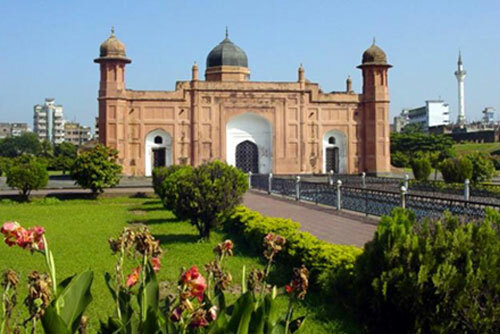 The Shrine of the famous Muslim saint Hazrat Shah Jalal, the great torch bearer of Islam to the region, is located at Sylhet town. 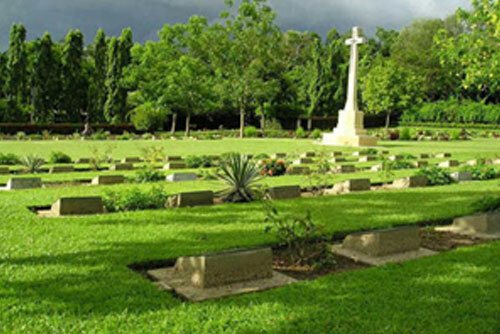 Other places of tourist attraction in Sylhet include Moulvibazar, Janitipur, Madhaba kunda, Tamabil-Jaflong and Haripur gas field.